Raven Ridge has been out for almost three months without a single driver update. 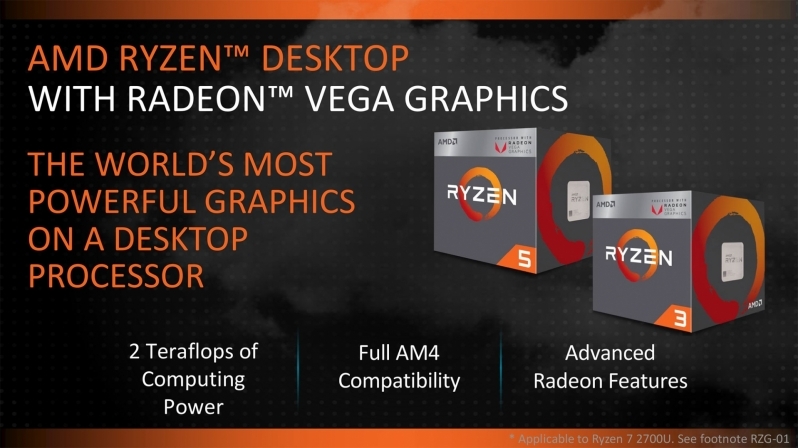 Read more about AMD's plans to merge their Ryzen+Vega APU drivers with future Radeon Software Releases. Exactly, next week a month will have passed since my Article which stated that AMD had released no new APU drivers since their launch in February. Now almost a full quarter has passed without a new driver. Right now it looks like the APUs use a modified version of Radeon Software 17.7.1, which would make a jump to something newer huge for the APUs. A lot has changed in the past few months with Radeon (game ready drivers, ReSX etc). The main factor that has gotten in the way of this before is probably power management, as an APU works very differently than a standalone CPU. Even so, AMD should have solved these issues a while ago. Trying to develop completely new drivers is a lot of work alone, trying to adapt existing drivers to completely new hardware is no different. Better to wait till those new drivers are mature and well tested before porting your fancy new budget/mainstream orientated hardware to it. I've no doubt attempting both at the same time would have required a delay of the hardware, pretty unnecessary in this product tier where "good enough" is kinda the whole point. I've been waiting for a damn update since December. I got my raven ridge laptop hoping for support but I have yet to see much of it. And it is needed badly. Having random boot loops due to driver corruption in Windows is running my patience thin.